One of the coolest things about Choppers is their historic relevance to the motorcycle community. The wild chopped, bobbed, and stretched style of the chopper exploded in the 1960s, becoming the officially unofficial chariot of bad asses. They were shot into the lime light by celebrities and movies like Easy Riders, and made a permanent image associated with bikers by artists like David Mann in Easy Riders Magazine (and others). Giving people an opportunity to check out a snapshot of the biker lifestyle and chopper essence, Mann’s artwork is still inspiring artwork and custom motorcycles to this day. Keeping the old school chopper style alive, and evolving with the times. That’s one of the main reasons Chopper Fest is such a rad event. You can see the whole progression of chopper style from back in the day through present day. 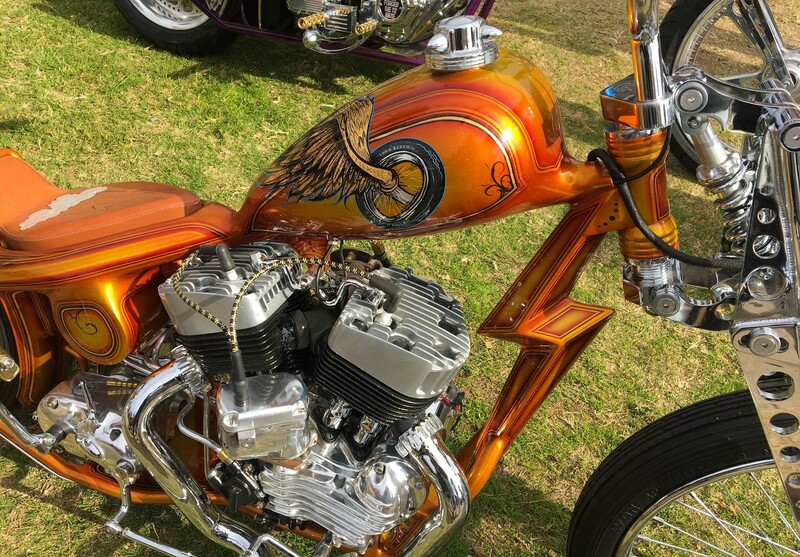 The “If You Build It They Will Come” All Brand Motorcycle Show presented by Russ Brown Motorcycle Attorneys in the 13th annual Chopper Fest event this past Sunday brought a whole field of two wheeled art. 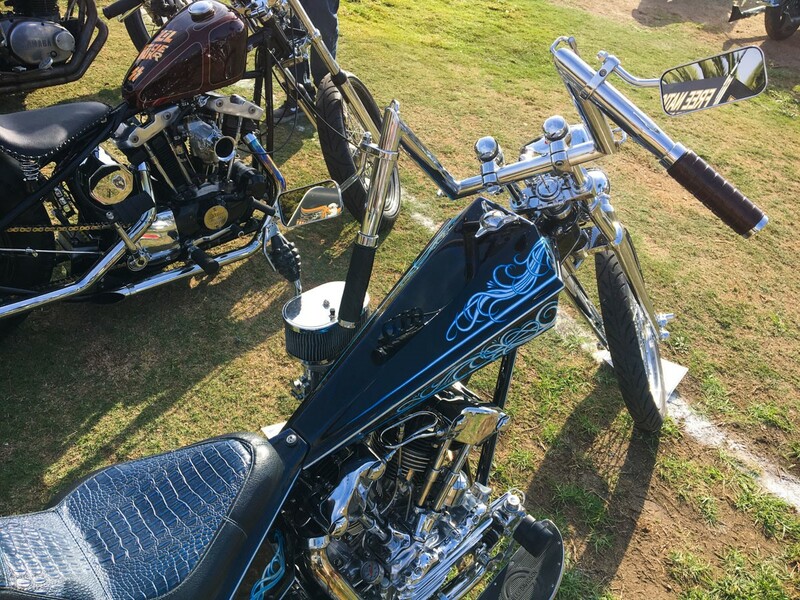 Raked out choppers, classic bobbers, and wild concept builds brought big crowds of happy families, entertained by live music including a Lynyrd Skynyrd tribute band. 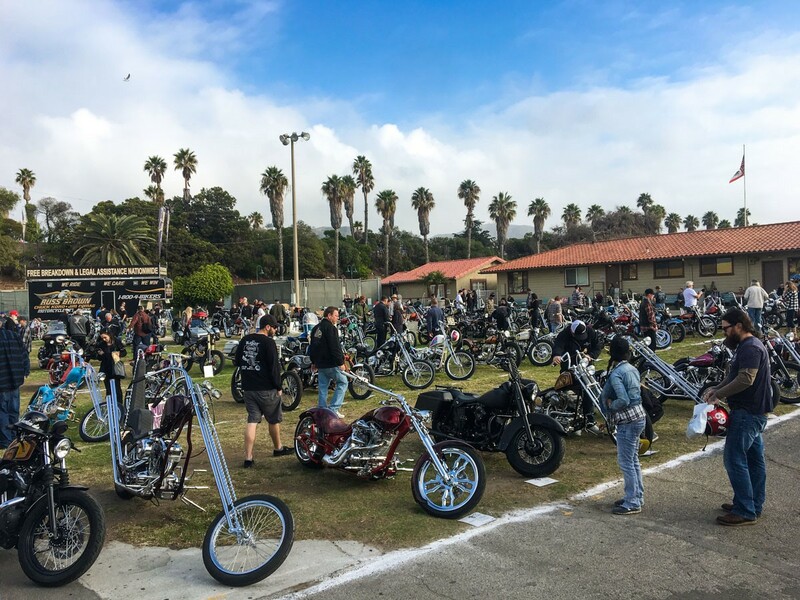 With free bike show entry, people are happy to take a weekend trip out to Ventura, California. 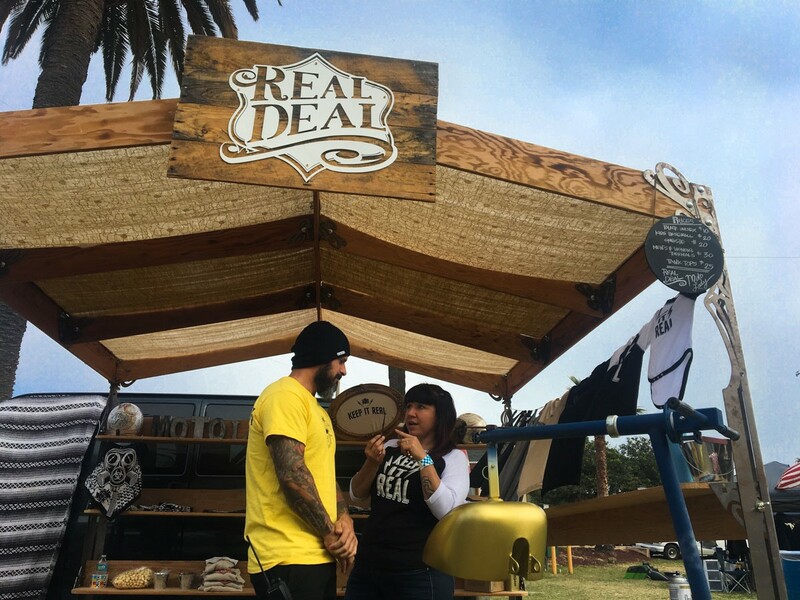 This year I was invited by the amazing Jessi Combs to join her and her business partner Theresa Contreras at the Real Deal booth representing their business encouraging women and young people to get into welding, making, building, creating, racing and more. Jessi did welding demos while Theresa gave people a crack at pinstriping, and I brought my leather craft tools as well. 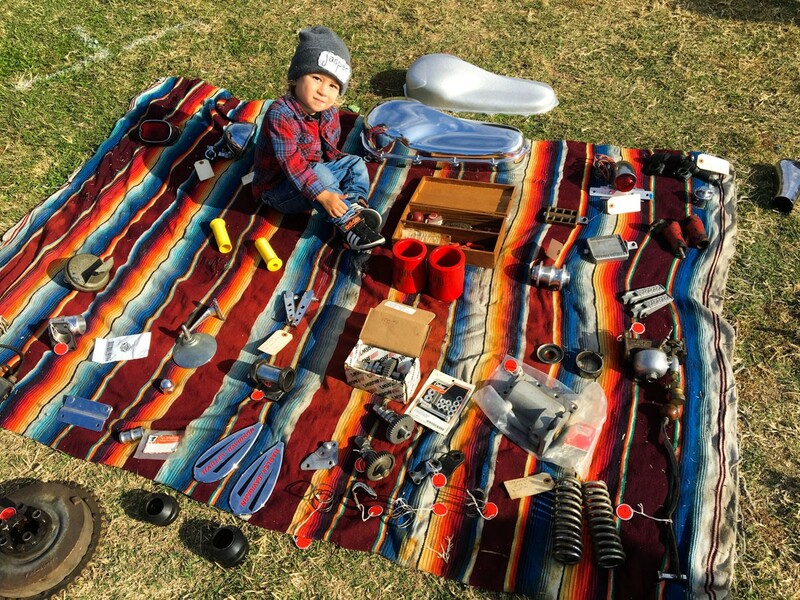 It was a fun opportunity for people to participate in a small part of the process in making their favorite two wheeled toys! 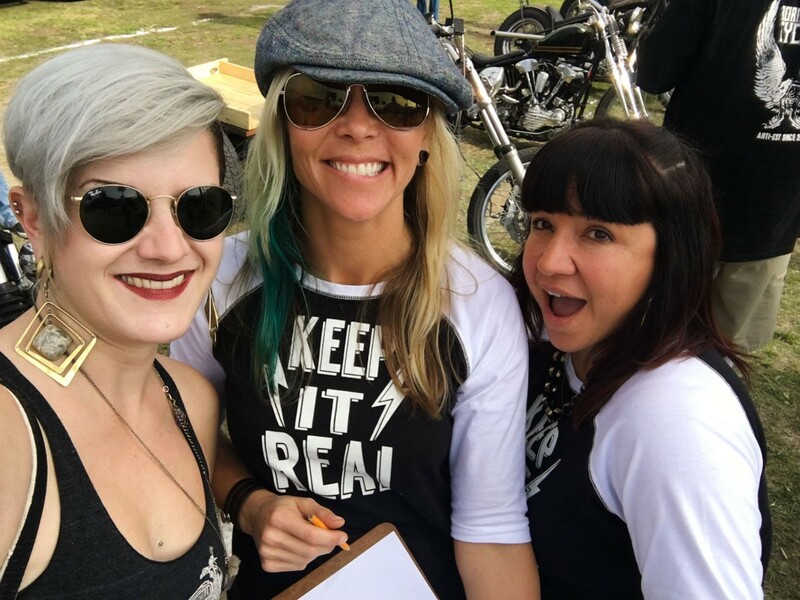 As a member of the Real Deal team, I joined Jessi and Theresa in judging the show—the Ladies Class being our exclusive responsibility, along with adding our votes in to Best Pan, Knuckle, Shovel, David Mann style, and Best of Show. Taking the time to really walk through and look at every bike’s creative details a joy of custom motorcycle shows we often forget. You really notice the handicraft; little things like shot glasses made into tail lights, eyeball headlights, stash compartments, and so much more. Unique styles and excellent fabrication work flooded the show. 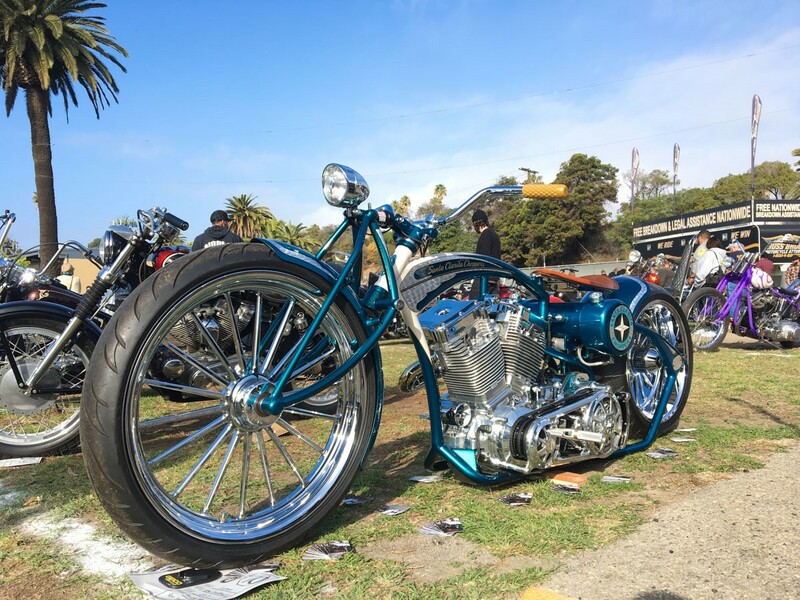 With the custom bikes, swap meet and vendor areas, food, beer, live music and the best of show winner earning $2,500… it’s easily one of the coolest shows of the year. Come drink, dance, bring your bikes and take a stab at the grand prize next December! Stay tuned to chopperfestival.com for all the details.